Video Media Used: (1) TDK Hi8 MP Super Finavinx-Metal Particle Camcorder Tape and digital format. This was SJGR's first visit to this private home in Shamong NJ. We were called in after the residents here reported seeing apparitions, and experiencing audio phenomena and movement of objects. During the course of the investigation, the presence of a male on the 2nd floor and a female on the first floor were detected by investigators in the home. 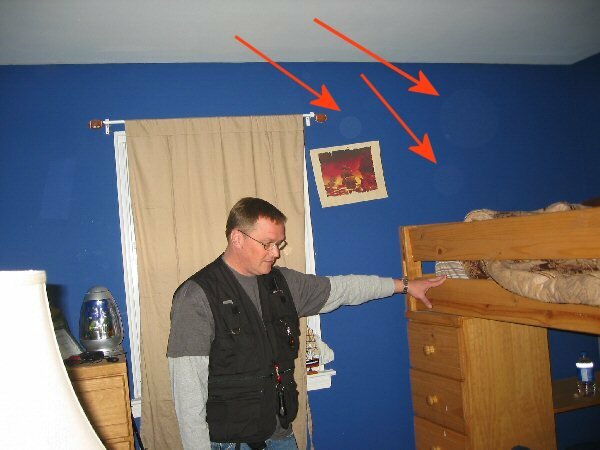 The physical evidence collected consisted of a high number of EVP and 46 positive photos with energy orb anomalies in them. 6% of positive photos obtained falls within normal range, so they don't factor into the overall evidence but some photos correspond to events investigators were experiencing at the time the photo was taken. One anomalous temperature reading was obtained on the first floor. 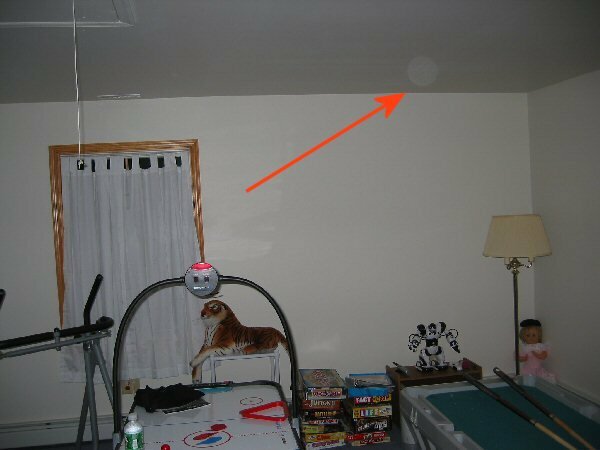 10:44pm - Investigator Carroll took this photo at random after moving into the Game Room. 12:41am - Investigator Carroll took this photo in the son's bedroom after hearing a male's disembodied voice say, “It’s safe”.